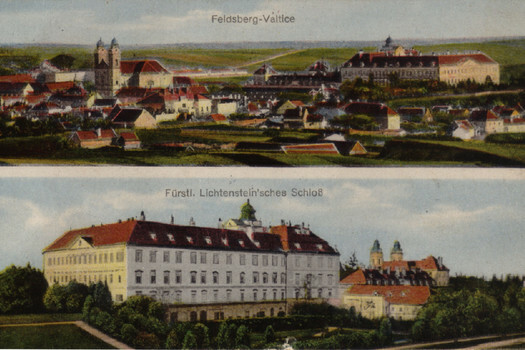 Valtice (in German Feldsberg) was as late as the end of World War I a part of Lower Austria. 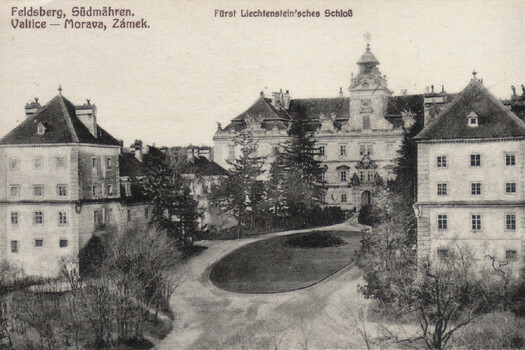 Its connection with the Czechoslovak Republic came about as part of the peace treaty that was signed in Saint-Germain-en-Laye near Paris on 10th September, 1919. The treaty came into effect on 9th August, 1920; and the take-over of Valtice by the Czechoslovak authority took place on 1st July 1920. The very first known written mention about Valtice (written as Veldesperch at that time) comes from 10th January 1193. The Emperor Henry VI confirmed by deed its exchange between Passau bishop Wolfger and the new acquirer Wichard of Seefeld in Bavarian Regensburg. Even before this date, a fortified building stood in Valtice probably with clay and wooden ramparts and a bricked residential core. 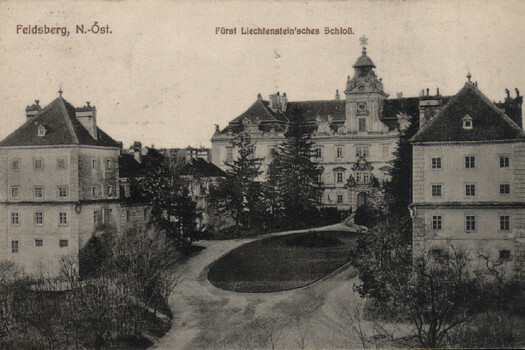 The New owners of Valtice, the family of Seefeld, belonged to the prominent ministerials of the Austrian Dukes and held the office of chief butlers (in historical sources the office is called maior dapifer or truksas). It was perhaps Wichard´s son Kadold who rebuilt Valtice Castle into the late Roman shape and who equipped the castle with a polygonal tower and who changed the castle into a place where knight tournaments and games were held according to a witness of the famous minnesinger Ulrich of Liechtenstein who mentions extensively in his songs of a Valtice knight riding in the early thirteenth century. 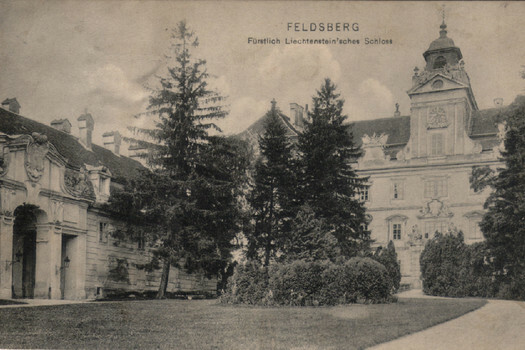 The last male descendant of the Seefeld family was Albero of Feldsberg – a fellow of Přemysl Otakar II. Even before Albert´s death, the Minority monastery had been founded in front of the south-western gate of the town. This monastery was destroyed during the Hussite wars. The buildings were later restored by Franciscans thanks to the initiative of Jan Capistrano, but the buildings were seriously damaged again by the raid of the Ottomans in 1529. In the age of the growing Reformation, the monastery was left and gradually taken a part: an important part in the next period took Merciful Brother´s convent. 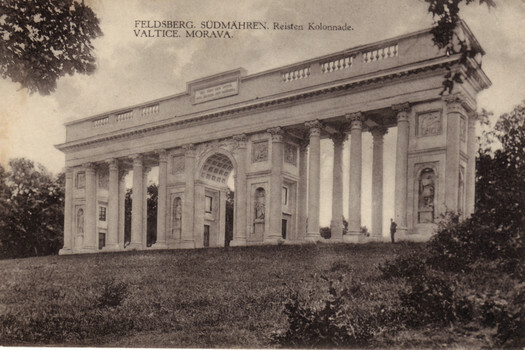 At the beginning of the 14th century, we find Valtice to be in the possession of the Rauhensteins and Kuenrings, who sold their share to the Pottendorfs soon after. 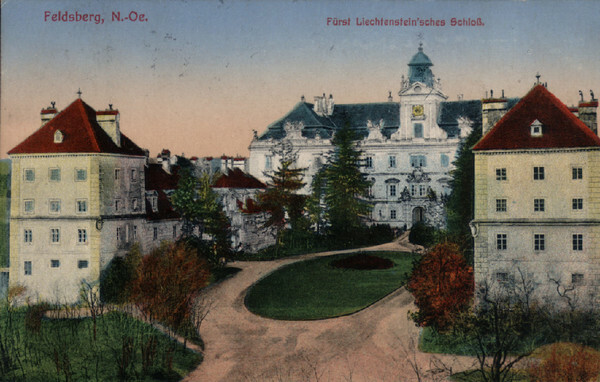 Between 1387 and 1391, the Lichtenstein family managed to unite the divided manor in their possession; they held Valtice until it was confiscation in 1945. After the stormy 15th century, the Hussite plunder and the Czech-Hungarian wars during the rule of Jiří z Poděbrad (George of Poděbrady) and Matthias Corvinus, Valtice experienced renewal and prosperity in the days of Hartman I of Liechtenstein (1506-1540). 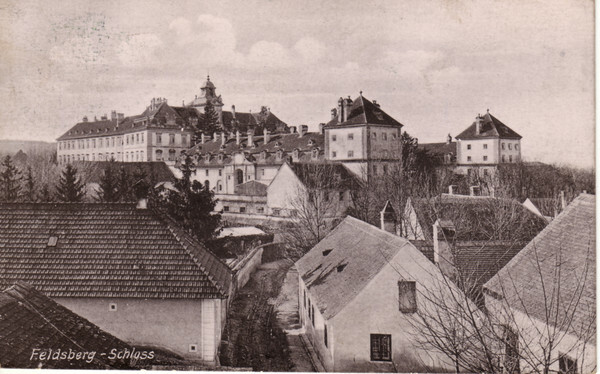 A huge stimulus for the development of the Valtice Castle was the loss of the family possession near Mikulov (in 1560). The former castle was modified into the four-wing Renaissance building with the arcade loggia. We only know the approximate appearance of this building from a few drawings, but a part of it survived in the basement of the south-western wing of the castle: mixed walling reaches a thickness of about two and half meters. During the rule of Karl I of Liechtenstein (born in 1569, and ruled in 1595-1627) the expanded residence was further fortified, perhaps due to the threat of the Ottomans. Karl I converted from a Protestant to a Catholic confession in 1599; he became the chief emperor´s major domo and later the Czech viceroy. In 1608 he received the title of Prince, and in 1614, he became the Duke of Opavia. During the confiscations which happened after the battle on White Mountain, he notably enlarged the family empire. Until his death, extensive reconstructions were undertaken in cooperation with the main imperial architect in Vienna: Venetian mannerist Giovanni Battista Carlone as well as Giovanni Mario Filippi whose name is mentioned in connection with some buildings in Prague from the age of Rudolf II. 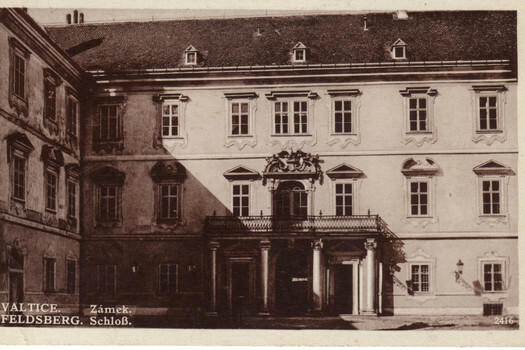 During the rule of Karl´s son, Karl Eusebius (1627-1684), the baroque reconstruction of the residence continued. 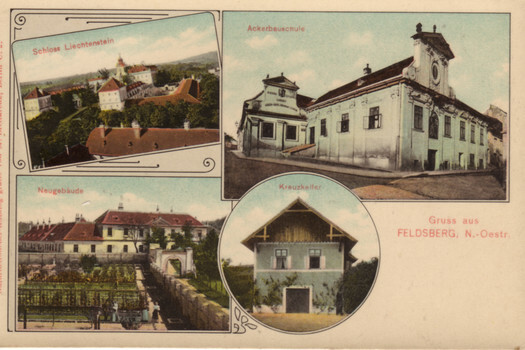 At first, the reconstruction was conducted by Giovanni Giacomo Tencalla, who was recalled soon after the vault of the new parish church collapsed, and later by master builder from Brno Ondřej Erna and his son John Baptist. Their work, for example, are the buildings around the first courtyard. The son of the Prince Karl Eusebius – the well-travelled diplomat and elder statesman of the Viennese court, Jan Adam Ondřej (1662-1712) – further developed the baroque appearance of the castle. Construction was then undertaken by another two master builders from the dynasty of Tencalls and many craftsmen from Brno and Olomouc. In 1712, Prince Anton Florian (1656-1721) – a self-confident Spanish grandee, chief major domo, and equerry of the Emperor Karl VI – started his rule and the next phase of reconstruction of the Valtice residence which was overseen by the architect Anton Johannus Ospel (1677-1756). 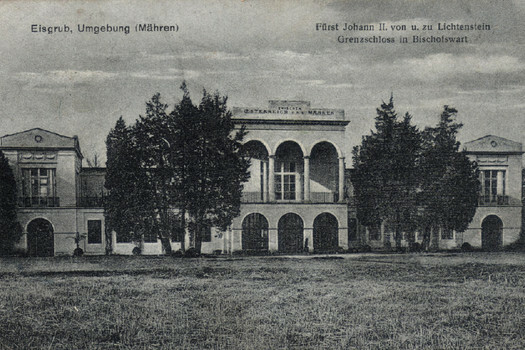 At the beginning, perhaps for the imperial equerry´s prestige, the buildings used for horse breeding were reconstructed. First to be reconstructed was the Winter Riding-Hall (1713-1715), and then later the Spanish Stable and the Coach-house. Outbuildings, administrative rooms, and cellars for the production and storing of wine emerged as an symmetrically opposite wing in 1716. The noble portals in the front part of the castle area illustrate the skills of the princely sculptor Franz Biener (1682-1742), and visitors should not overlook his wooden columns of the stable boxes which form the rare and unique decor of the castle information tourist centre. In 1715, the upper floor of the palace was torn down and the space was renewed and adapted, perhaps in 1720. At that time a new water supply was installed. The most remarkable imprint of Ospel´s work is the newly conceived „triumphal way“. Then Main castle entrance should run along the transverse axis, through the residential gateway from the square, which was finished in a classicizing style in 1724. The Prince, Joseph Johann Adam (1690-1732), did not continue with his father´s grandiose national projects, but he mostly focused on the private part mainly adapted the interiors. He employed – among others – an outstanding Italian decorator Antonio Beduzzi (1675-1735) whose work survives in Valtice, especially in the decoration of the quadrangle, facades, interiors, and in the fabulous chapel with rare organs by the Viennese master Walther. At the time of Prince Joseph Václav (1696-1772), the reconstruction of the castle was finnaly finished (it happened in the period 1744-1745). 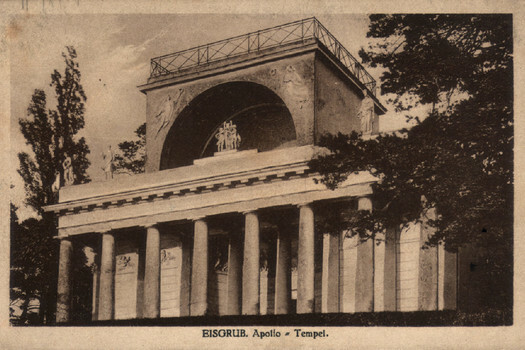 This diplomat (he represented the monarchy in Berlin and Paris) and military strategist (he is considered the father of modern Austrian artillery) named as his new court architect Anton Erhort Martinelli (1684-1747) who finished the interiors as well as the outer facades,. 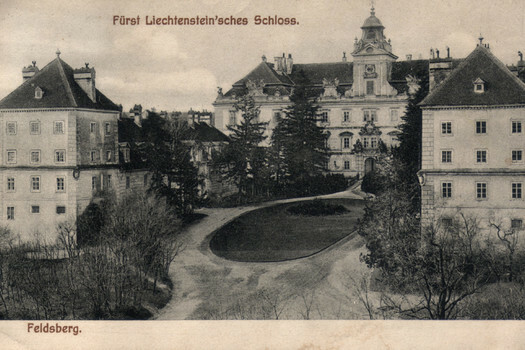 At that time the old castle was torn down, and a park was created in its place. Then the military career of the Prince Joseph Václav peaked: as a field-marshal he won the battle near Piacenza in 1746 helping Mary Therese to save her endangered heritage. 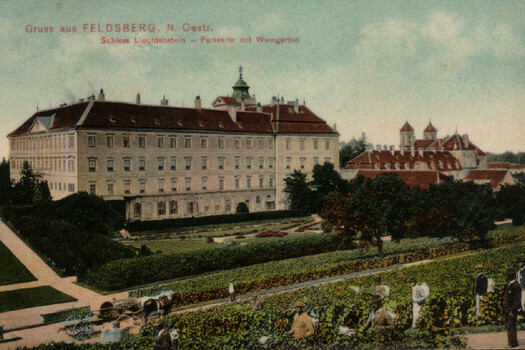 Then the Prince came to Valtice, mainly in the summer, to rest: the prestige functions were gradually taken over by the Viennese residences of the family in Bankgasse and Rossau. In the period 1788-1790, during the rule of the Prince Alois I Joseph (1759-1805), the theatre was built in the left wing of the front castle part. In 1805, probably with participation of the architect Joseph Hardmuth, a large two-storey hall in the southern wing was rebuilt into number of smaller chambers. 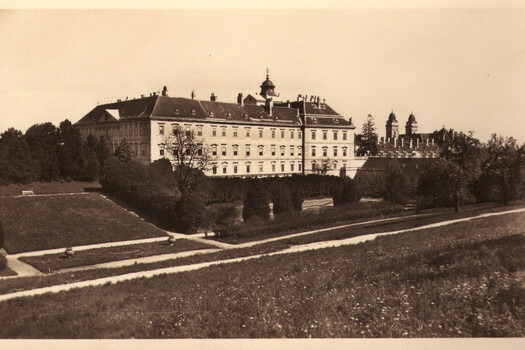 Development on the network of buildings in the Lednice-Valtice Area in the first decennia of the 19th century did not touch the area around the Valtice castle any more as even then the famous castle suite served as a tourist destination (visitors can observe it in the main circle even nowadays). 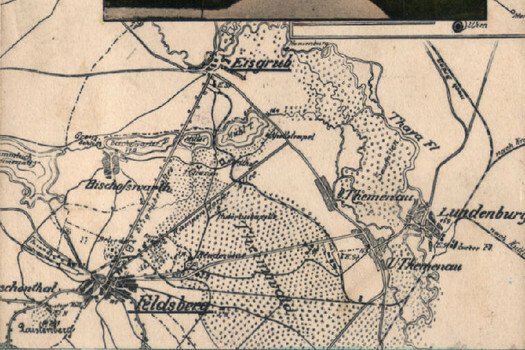 The Lednice-Valtice Area, in its contemporary shape, was created during the rule of the Prince Johann I Joseph (1760-1836), who became famous not only as a Valtice investor but also as a field-marshal and a commander of the cavalry during Napoleonic Wars. 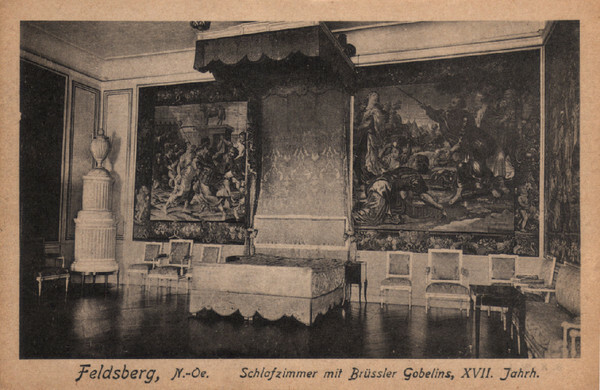 Part of the hall decorations, artificial marble facing, and brocaded hangings came from this time. 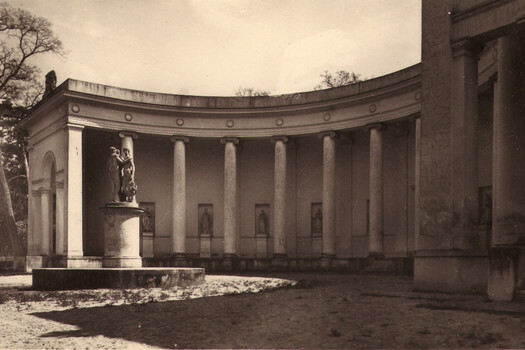 During the rule of the Prince Johann II (1840-1929) and the activities of his architect Karl Weinbrenner, the so called Sala Terrena was created after the adaptation of the park opposite the purchased and demolished Barvířská street. 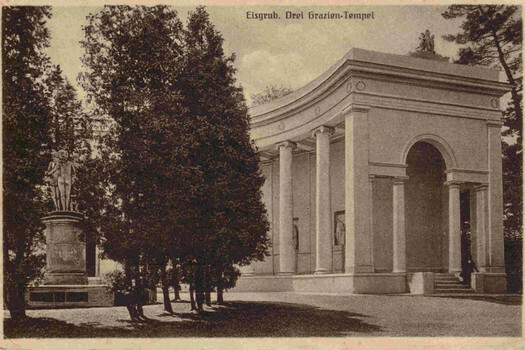 This Sala Terrena – thanks to its neo baroque perfection – was erroneously antedated and arrogated to the famous baroque master builder Fischer of Erlach for years. At the end of the World War II, the castle was devastated by Russian captives who were waiting for their repatriation there. They were all shot as traitors after the Red Army came. 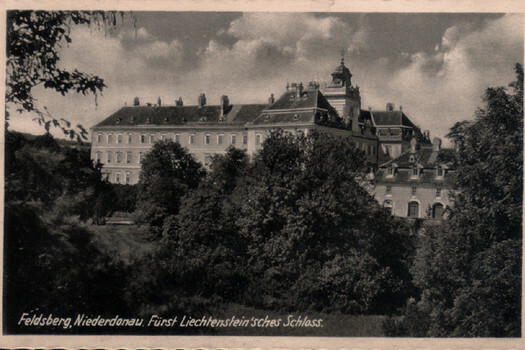 Some of the contents from the house were stolen or damaged, then in the mid 1947, a women´s camp for forced labour was established in the eastern wing of the front castle premises. The incarcerated women mostly worked on farms and in wine cellars. The entire castle, situated close to the Iron Curtian, was permanently devastated and used incorrectly as a space for production, workshop, and transport during the communist totalitarian power. A number of warehouses and plants were in the main building – a tobacco kiln was found in the Riding-Hall; and in 1964, the theatre was demolished and a car park for tractors was placed there. A gradual renewal of the Castle started during the 1970´s and is still continuing. In the period 2014-2015, a broad renewal of the Riding-Hall was performed, and a replica of the late baroque (classicist) theatre was built in the original enclosing walls thanks to EU funds and the efforts of the National Heritage Institute. In 2016, the private chambers of Lichtenstein princesses on the first floor of the Castle were presented to the public for the first time. In this place, you can find a unique collection of family theatres owned by the Moravian Museum. 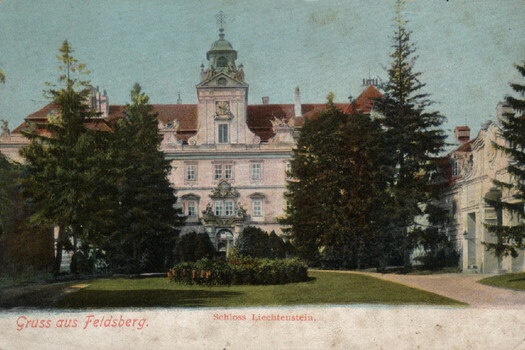 Over the centuries due to residential functions and the ambitions of the owners, a huge residence was created offering sufficient space for a princely court which at the same time represented the prestige of the Liechtenstein family: one of the most powerful families in the Danube area. The entire castle area including the landscape and the buildings in the neighbourhood is such an important monument that it was registered in the UNESCO World Heritage List.